Today is all about teeeeeeth! I've used countless teeth whitening take home kits and strips but I haven't been able to get my desired shade of white...because my stubborn little suckers are just so sensitive! The take home kits that I've trialled require the application of extra-strength whitening gel into a custom-fitted tray that is placed on my teeth every night for about two weeks. However, after the first week my teeth become extremely sensitive and I'm not able to enjoy my food (which is a huge problem for a big foodie like me!) so I've never been able to complete my 2 weeks. I spoke to Dr Michael Tam and his team from Smile By Design and they discussed in-office teeth whitening with me and how it may suit my needs better. In-office teeth whitening takes less than an hour every visit and needs to be repeated around 2-3 times in order to get your teeth up to 12 shades whiter. During your appointment, the dentist will apply a prescription teeth whitening gel formula to your teeth. You are then placed under a UV lamp for approximately 15 minutes to activate the whitening gel. Smile By Design have over 20 years of experience and cover all areas of aesthetic improvements. If you're thinking about cosmetic dental treatment or you're just looking for general dentistry, I would definitely recommend Dr Michael Tam and his team in Bondi. Capes are definitely up there in my list of favourite items of clothing! But they're often hard to keep on, especially if you're a hyper-energetic little asian girl that likes to run around in the rain like I did during this photoset last week. This is why the Insider Cape Vest is my go-to cape this month, it comes attached with a black vest to help keep everything in its place. 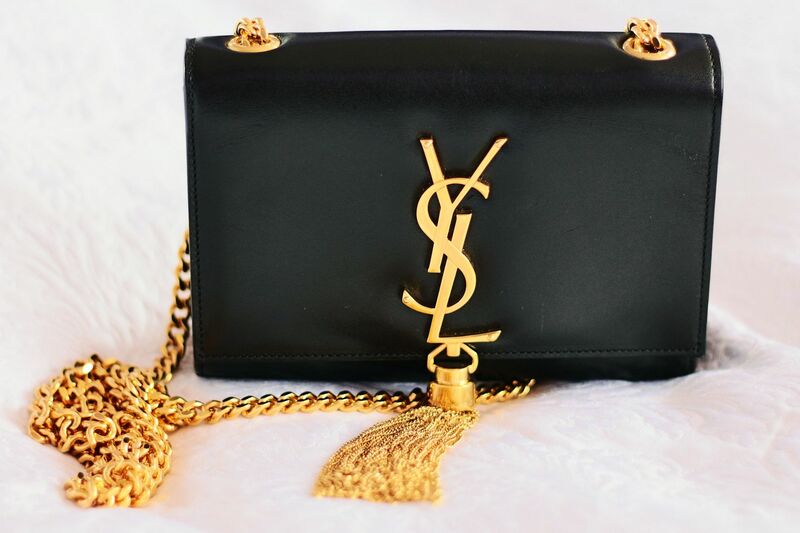 Among other favourite things is the YSL Cassandre bag. I originally bought this YSL Cassandre in red from Bluefly.com and unfortunately for me, without reading customer reviews before purchasing - I ended up going through a long and horrible shopping experience. 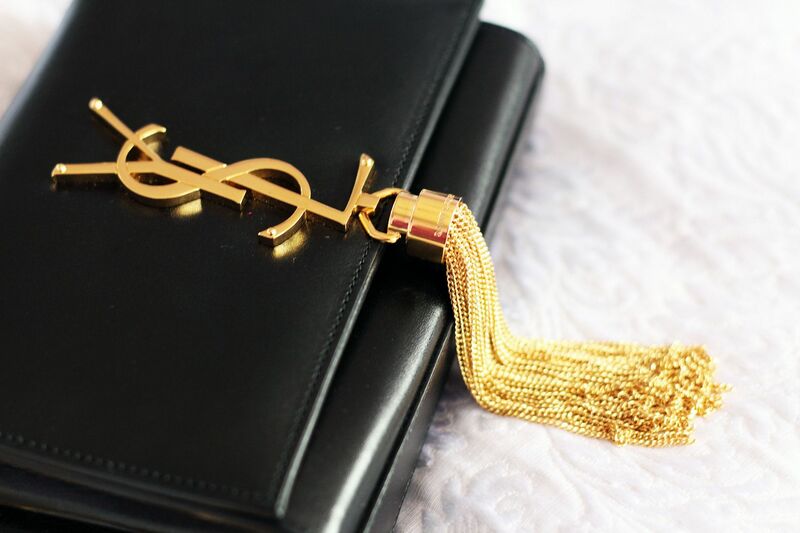 Not only did it take me a month to get my order, when I received the item there were scratches all over the gold hardware and black stains on the tassel. Lesson of the day: If you're looking for a designer bag with better price tags, my recommendation is to go to Reebonz. If you want to see any Saint Laurent bags or designer bags in person, feel free to also pop by Reebonz's physical store located on George St in Sydney CBD. Nothing beats getting to try on the bag in person! 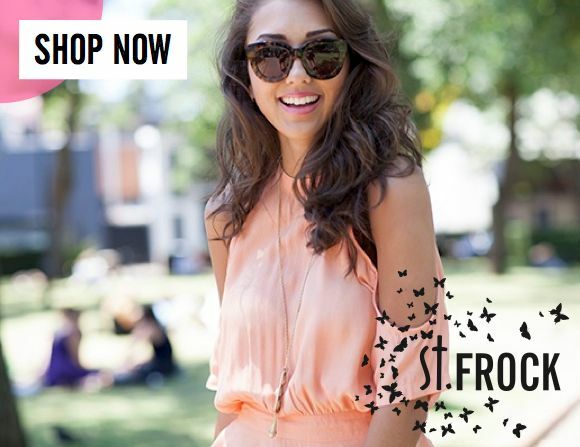 Click here and sign up to get $38 store credit to spend on any item at Reebonz! 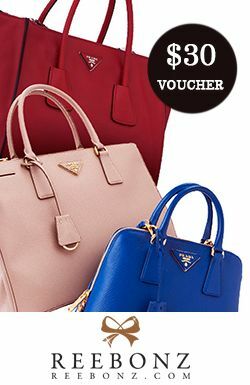 CLICK HERE and sign up to get $38 store credit to spend on your favourite designer items at Reebonz. I've always been a fan of mixing prints, getting the combination right can take time but once you get it, it doesn't take much to make it stand out in front of the camera! This week's outfit features leopard print mixes by St Frock with the neutral elegant touch from Saint Laurent. The YSL (Saint Laurent) Classic Monongram Large Satchel has a timeless look and the gold hardware is just the cherry on top! 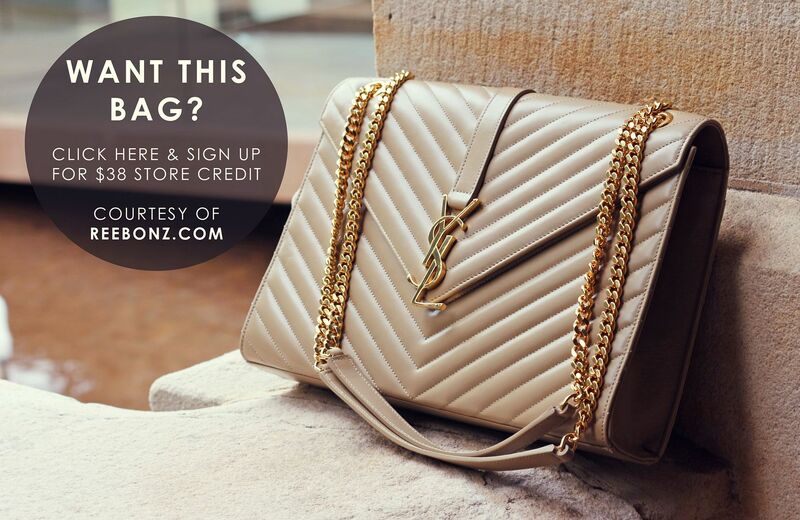 This bag is currently available at the Reebonz store in Sydney on George St, or you can click here to sign up and browse online as well as receive $38 store credit to spend on designer bags, wallets, watches, accessories or shoes. If you haven't heard of Reebonz before, they stock authentic designer goods ranging from brands such as Michael Kors all the way to Hermes. Their brand new items are sold in sales events on the website which generally last for 2 - 3 days and you must be a member in order to access and purchase from these sales events (memberships are completely free!) and there is also a vintage section on the website to allow buyers to browse through vintage and exclusive collection items as well as allow sellers to sell their vintage designer bags. Cut out mesh dresses are usually reserved for a night of painting the town red but that doesn't always need to be the case! Today's outfit showcases a casual spin on Choies' A-line Red Mesh Dress to prove that you can turn an outfit from night to day with a little help from tartan prints and knitted headwear.